The Urbandale Community School District team understands that selecting a school district for your child to attend is impacted by many factors. The most apparent being the location of your home in relation to school district boundary lines. 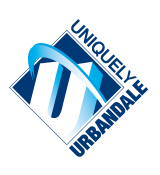 However, Urbandale offers the opportunity for all families—regardless of home address—to apply to open enroll in Urbandale schools. We believe the process of Open Enrollment should be one in which all families considering Urbandale schools feel welcomed and valued. By considering and selecting Urbandale schools, you are giving us a gift of helping to bring learning to life for your child. That is a gift we hold dear, as we know the significance of having a child feel connected and inspired throughout her or his education. We thank you for your consideration and encourage you to learn more about Urbandale schools by viewing the Quality/Continual Improvement Showcase and by reviewing the following information about Open Enrollment in the Urbandale Community School District. Please complete the following Open Enrollment Application and review the Open Enrollment Application Directions below. All Open Enrollment Applications are due to the student’s resident district and receiving district by March 1 for students in grades 1st -12th and September 1 for students entering Kindergarten. Please note: If your child is currently open enrolled into the Urbandale district and would like to continue attending next year, you do not need to submit a new application. Once you have been approved for open enrollment, the approval continues until your child graduates or you notify the district you are ending your open enrollment and enrolling your child in a different school district. For more information on Open Enrollment, please visit the Open Enrollment section on the Iowa Department of Education site where you can review more details regarding directions for completing the Open Enrollment application, the current State Open Enrollment Handbook, and FAQs. In 2010, the Urbandale Community School District began assessing innovative, proven, and sustainable methods for transforming education in order to better align with the Urbandale vision of being a school district that brings learning to life for everyone. The district determined that a focus on Quality/Continual Improvement (Q/CI) throughout the system was the most effective path for transformation. Q/CI is an ongoing, fundamental, and comprehensive approach for improving learning throughout the district. Urbandale teachers are becoming “facilitators of learning” by creating systems of learning in their classrooms that give students greater ownership and voice in their learning. Students not only learn the content of their coursework, but they also learn how to learn, learn how to manage their time, and learn how to effectively collaborate with other students; essential skills for success in college, business, and life. Urbandale integrates a consistent, rigorous, and relevant curriculum that empowers students to set challenging yet achievable goals in order to achieve success inside and outside the classroom. Visit our Q/CI Showcase to learn more about what Urbandale educators, parents, and students are saying! Q1: What is the first step I should take when considering open enrolling in Urbandale? A1: Please review all content on this page as well as the Open Enrollment Application and Directions (found above). We encourage you to review the Quality/Continual Improvement Showcase section for more insight into how Urbandale brings learning to life. Q2: May I select the elementary school I would like my child(ren) to be enrolled in? A2: You may request an attendance center, and we will attempt to grant your request, but the district has discretion to determine which attendance center an open enrolled student shall attend. Q3: What form(s) do I need to complete? A3: Please complete the Open Enrollment Application (found above) in order to begin having your open enrollment request processed. Q4: What is the due date for submitting the Open Enrollment Application? A4: All Open Enrollment Applications are due to the student’s resident district and receiving district by March 1 for students in grades 1st -12th and September 1 for students entering Kindergarten. You may fax, email, mail, or drop off the completed application (see contact information above).